There is an evolving spectrum of training in clinical US from undergraduate medical education through post-graduate training, where skills are introduced, applications are learned, core concepts are reinforced and new applications and ideas evolve in the life-long practice of US in emergency and critical care medicine. 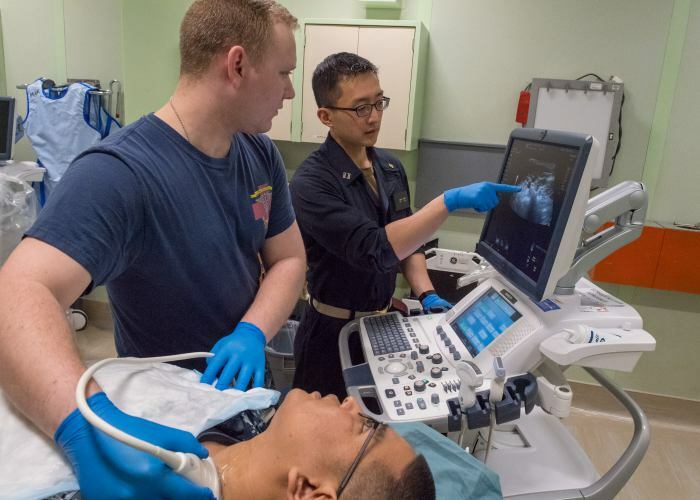 Competency in EUS requires the progressive development and application of increasingly sophisticated knowledge and psychomotor skills for an expanding number of emergency and critical care ultrasound (EUS) applications. This development parallels the performance of any EUS exam. The clinician needs to recognize the indications and contraindications for the EUS exam. The clinician must be able to acquire adequate images. This begins with an understanding of basic US physics, translated into the skills needed to operate the US system correctly (knobology), while performing exam protocols on patients presenting with different conditions and body habitus. Simultaneous with image acquisition, the clinician needs to interpret the imaging by distinguishing between normal anatomy, common variants, as well as a range of pathology from obvious to subtle. The clinician must be able to integrate EUS exam findings into individual patient care plans and management. The Ultrasound Basic Training Workshop is designed to meet the minimum requirements laid out in the ACEP Emergency Ultrasound Section and emphasize the integration of ultrasound into patient assessment and goal directed therapy. The Ultrasound Basic Training Workshop at The Resuscitation Group is guaranteed to be a small group experience with ample user time with the ultrasound devices. Participants will review a basic approach to ultrasound physics. Participants will be able to demonstrate the operation of the ultrasound with the correct pressure, alignment, tilt, and anatomical orientation to provide a proper ultrasound image suitable for interpretation. Participants will be able distinguish between normal anatomy, common variants, and abnormal finding in specific standard exams. Participants will be able to demonstrate a BLUE Protocol Exam. Participants will demonstrate the RUSH Exam. Participants will be able to demonstrate a CAUSE Exam. Participants will demonstrate peripheral vascular access using the ultrasound. 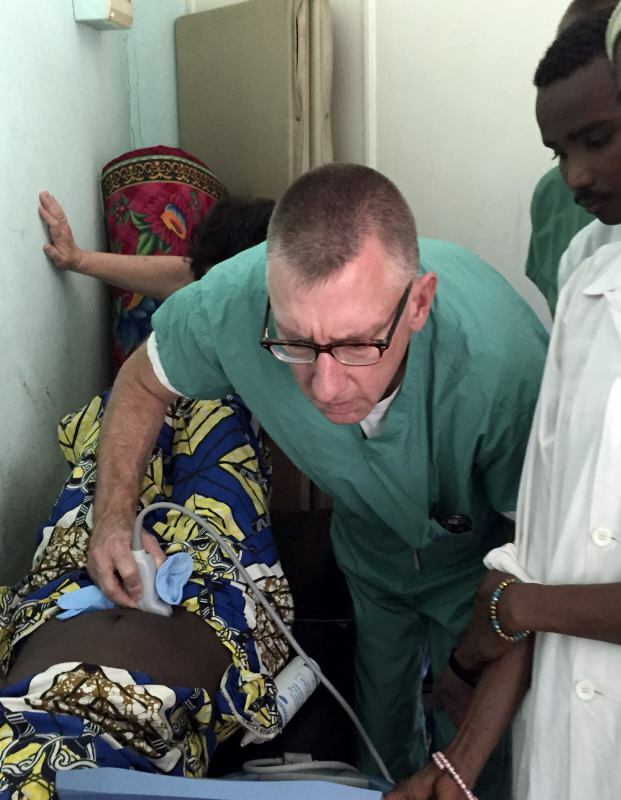 Participants will be oriented to pericardiocentesis using ultrasound guidance. 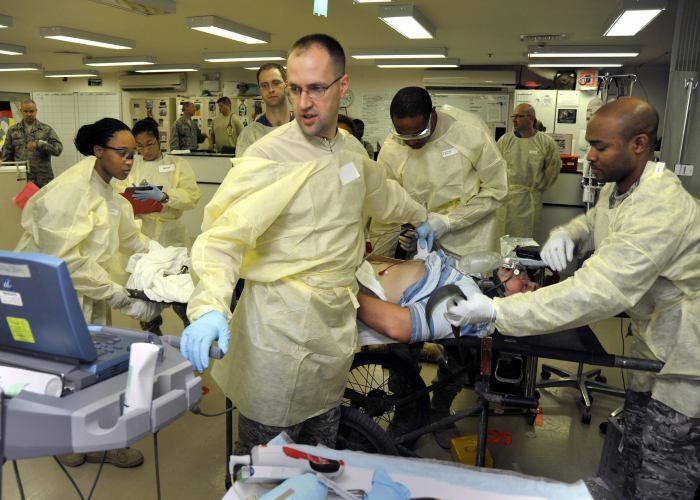 Healthcare providers who work within emergency or critical care environments. The participant should be familiar with human anatomy and physiology.